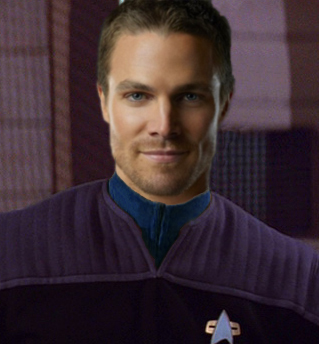 Chief Science Officer Alexander Richards of the USS Gemini was born in Tycho City, Lunar Colony. Whilst studying the sciences at Oxford University, Alexander had a paper published on applied warp mechanics past, present and beyond. He graduated from Starfleet Academy in 2387, after which he took up his first duty post in the Operations Division on the USS Independence-A in 2388 as the Chief Communications Officer. He later served on the USS Tiger-A, USS Mercury, USS Drake, andStarbase 118 Ops before being assigned to the USS Gemini. While investigating a strange occurrence on Deep Space 10 during his time aboard the Mercury, Alexander triggered the base’s ancient defense systems and was paralyzed from the waist down. He is now in a wheelchair, but he has not let this get in the way of his career. Alexander feels his biggest achievement in life so far is becoming a father to his son John Richards. He always wants to set an example for him and be the best role model that he can be. 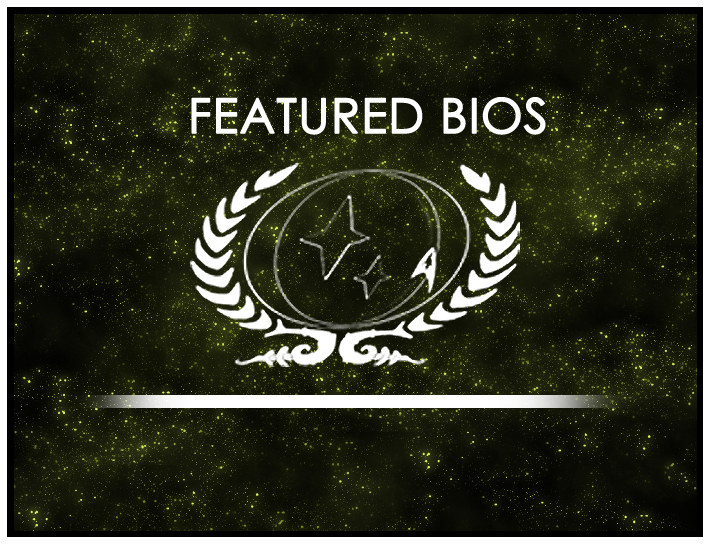 This month, our star pick bio belongs to Major Dade Adarnis, so congratulations to him!! Alexander Richards’s bio will be displayed on the wiki’s front page for the month of April. As always, you can find out more about the contest at its wiki page or in its forum. Round 6 is now open, so be sure to drop by and submit your own nominations!